has ripped open secret church files and reopened old wounds among Catholics as scarred men and women tell jurors that priests groped, molested or raped them as teens. The testimony has proven both painful and poignant, especially that of a 48-year-old man who said he had been in love with his parish priest during a five-year sexual relationship that began in ninth grade – and jealous when the priest allegedly bedded down at his farmhouse with other teens. The stories have been told before, in two Philadelphia grand jury reports and in lawsuits filed around the country. But Monsignor William Lynn’s decision to go to trial on child-endangerment charges stemming from his 12 years as secretary for clergy has brought the grand jury reports to life – and seemingly put the archdiocese on trial. The judge is allowing testimony about more than 20 accused but uncharged priests, because Lynn knew of complaints lodged against them or took part in internal church investigations. === How many did Joseph Aloisius Ratzinger know of around the world and remain silent about. 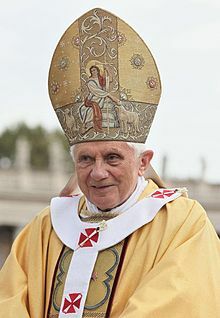 You are currently reading The Godfather of Pedophilia Joseph Aloisius Ratzinger alias Pope Benedict XVI at Wednesday in the Age of Reason-Munchausen (1988).